Catherine McAuley College values our connections with local priests and Parishes. 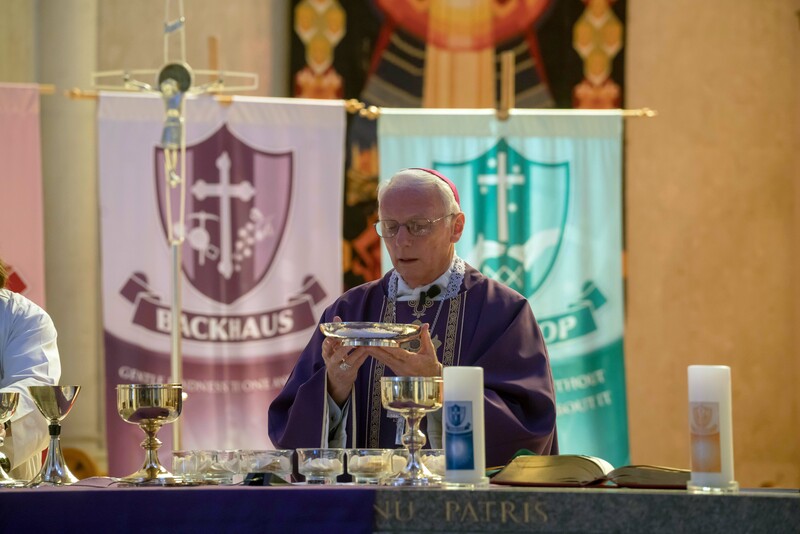 As a Mercy School, we encourage students and families to take part in the celebration of Eucharist and building of community. Following are normal Mass times. Refer to Parish Bulletins for times during special seasons. SACRED HEART CATHEDRAL Wattle Street, Bendigo: Sunday 8.30am, 11am. Also 6pm during summer. ST KILIAN’S McCrae Street, Bendigo: Saturday 6.30pm, Sunday 7am, 10am. Also 6pm during winter. ST MONICA’S High Street, Kangaroo Flat: Saturday 6pm, Sunday 9am. ST JOSEPH’S Russell Street, Quarry Hill: Saturday 6pm. HOLY ROSARY Hamelin Street, White Hills: Saturday 6pm, Sunday 10am. ST FRANCIS XAVIER Strickland Road, East Bendigo: Sunday 8.30am. ST THERESE’S Albion Street, Kennington: Saturday 6pm, Sunday 10.30am. ST LIBORIUS Eaglehawk Road, Eaglehawk: Saturday 6pm, Sunday 10.30am. ST JOSEPH’S Axe Creek Road, Axe Creek: Sunday 9am.